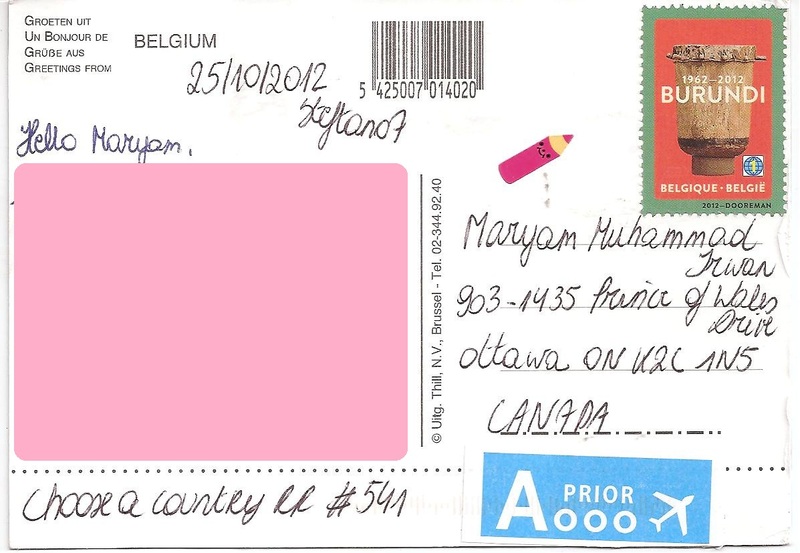 My first postcard from Belgium! This postcard is from postcrosser Tanja, who sent it to me as part of Choose a Country RR in postcrossing forum. 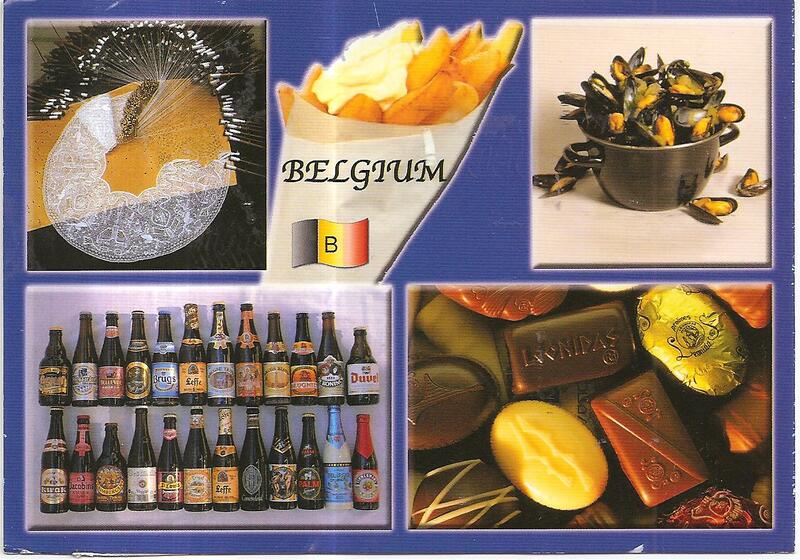 The postcard shows five items that are Belgian specialties. On the back, Tanja affixed one stamp. No posmark applied. Thans a lot Tanja!